So I joined TechShop. They have lots of cool stuff to play with, one thing being a laser cutter. 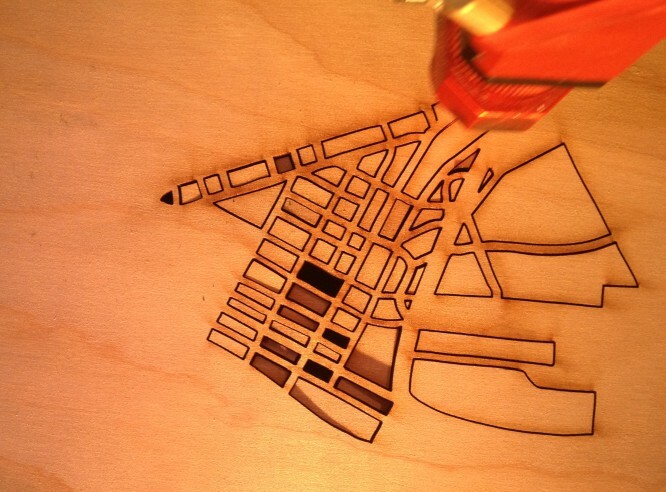 I decided to make use of the laser and make some cool wall art of Pittsburgh! I created the source vector by tracing over a map, converting it to a bitmap, using the “Trace Outline” function in Corel Draw and then tidying up the vector outlines manually. 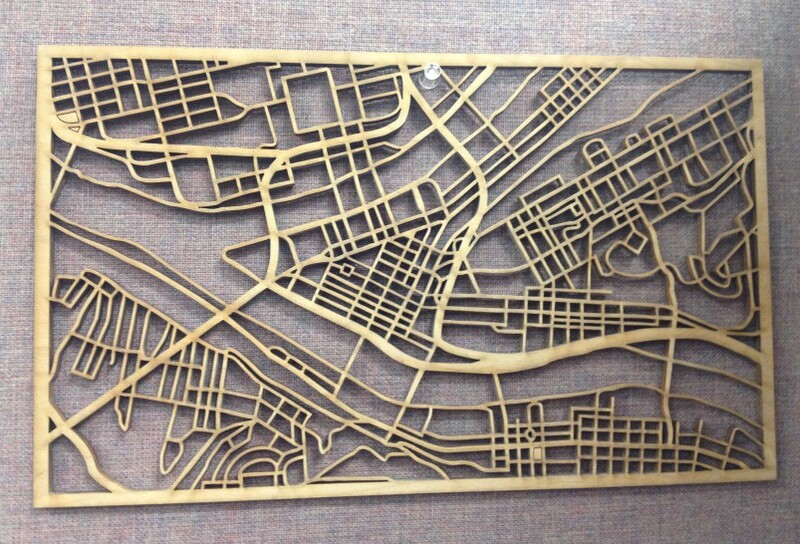 This entry was posted in Misc, Projects and tagged laser cutter, map, pittsburgh. Bookmark the permalink. Hello, I was wondering if you could send me the vector file you used for this map.